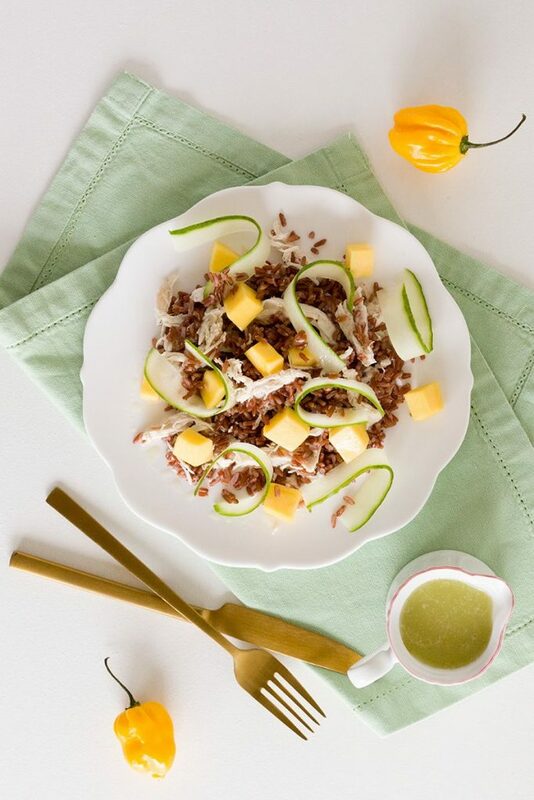 This spicy red rice salad with chicken and mango can be made as spicy as you prefer. Delicious and filling salad with lots of refreshing flavors. FILL a medium-sized pan with water and salt and bring to a boil. REMOVE any excess fat and muscles from the chicken fillets. COOK the chicken for about 10 minutes, depending on the size. REMOVE the chicken from the water and then COOK the rice in the same water. Red rice should cook a little longer than white rice. DRAIN and then RINSE with cold water until the rice is completely cooled off. Meanwhile CREATE the dressing, you can make it as spicy as you like. We’ve used 1/3rd of a scotch bonnet pepper without seeds, but you can as much as you like. ADD it to a small blender along with the juice and zest of a lime. BLEND until smooth and then gradually ADD the olive oil. SEASON with pepper and salt. 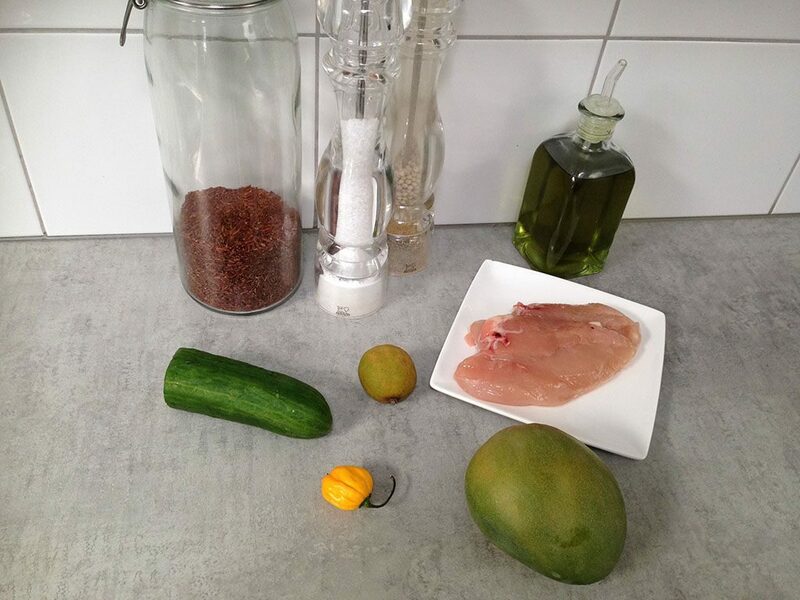 PEEL the mango, remove the pit and slice the mango into pieces. Use 2 forks to create pulled chicken. Use a vegetable peeler to create cucumbers ribbons. 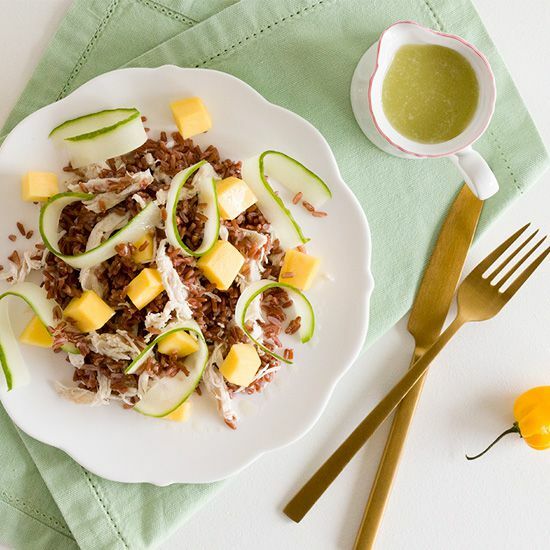 DIVIDE the red rice, chicken, mango and cucumber ribbons over the plates. 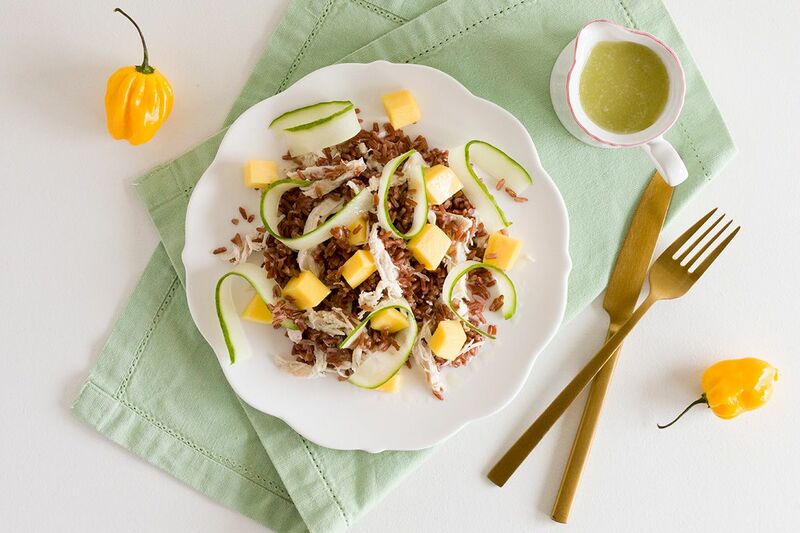 FINISH the salad with the spicy dressing and enjoy!